Only 19 days until our wedding, people. I keep looking at the calendar, reading "January 2012" and not believing it. We are so close now! 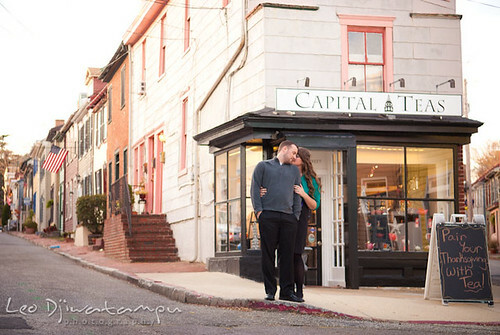 We recently traveled over to Annapolis, Maryland to take engagement photos with our wedding photographer, Leo Dj. It was a lovely November day, so we walked around enjoying the historic buildings and beautiful water views. 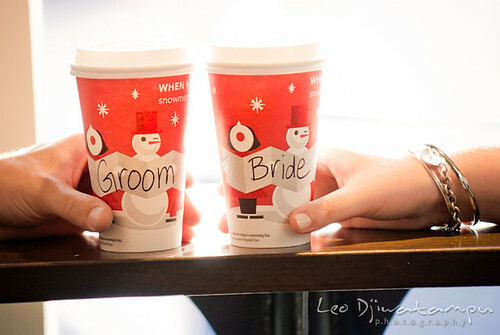 We stopped at a local Starbucks to order our favorite drinks, and one for Leo too. Michael and I love just sitting together, drinking tea and talking. I was glad we got to capture this in our engagement photos! It was fun to kiss and be lovey-dovey for a few hours. 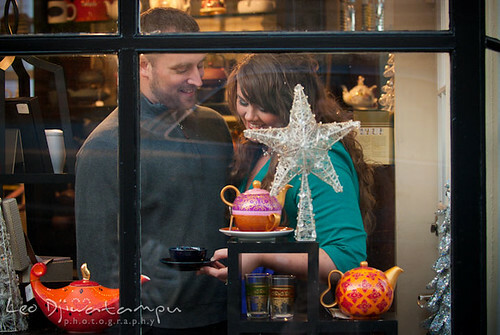 Then we stopped at Capital Teas, to have some photos representing our favorite drink. Leo is so creative and talented. 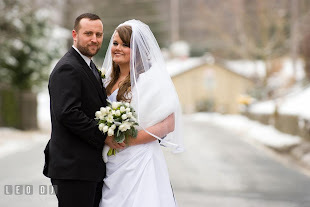 We are thrilled with our photos and cannot wait to see our wedding album someday! 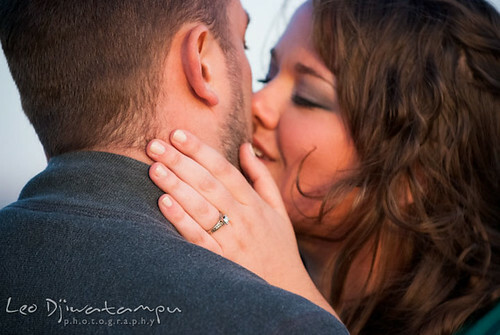 See the rest of our engagement shoot here. And then click here to like Leo Dj Photography on facebook! In other news, our home renovation is coming along well. I can't believe how much is done! I am taking updated photos tomorrow and will post them soon. Thanks for hanging in with me while I go through this huge transition in my life. 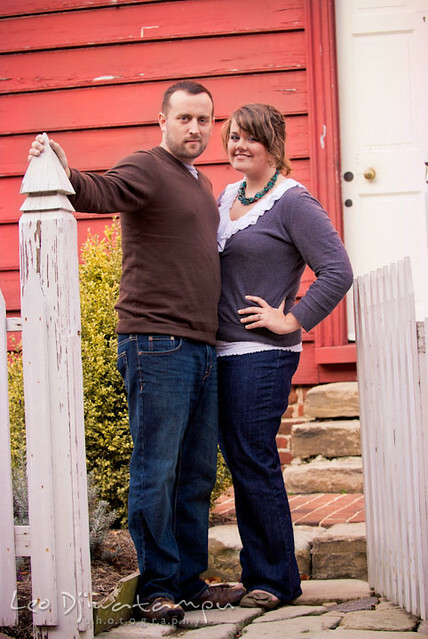 Once single and renting apartments, to married and owning a home. It feels very safe and secure. And happy. oh Jenna, you're back! So happy you're doing well. 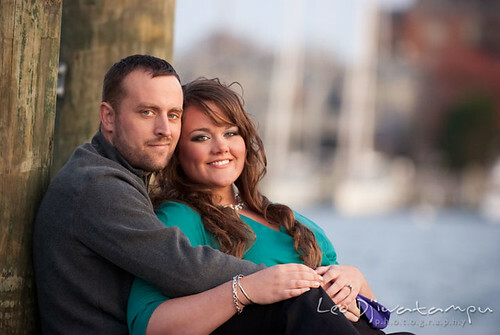 Your engagement pics came out awesome!!! I got engaged too!